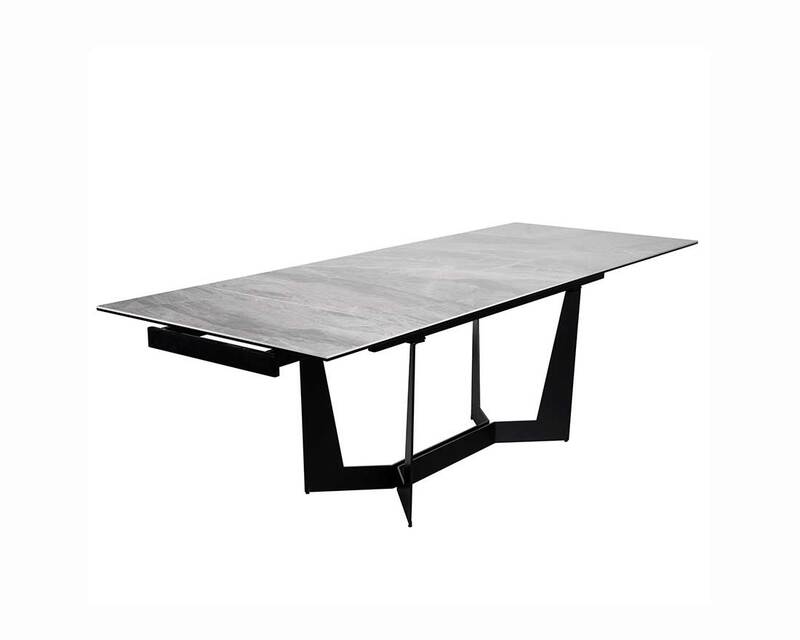 The Mateo Extension Dining Table unites sleek, modern lines with stunning, classic style. 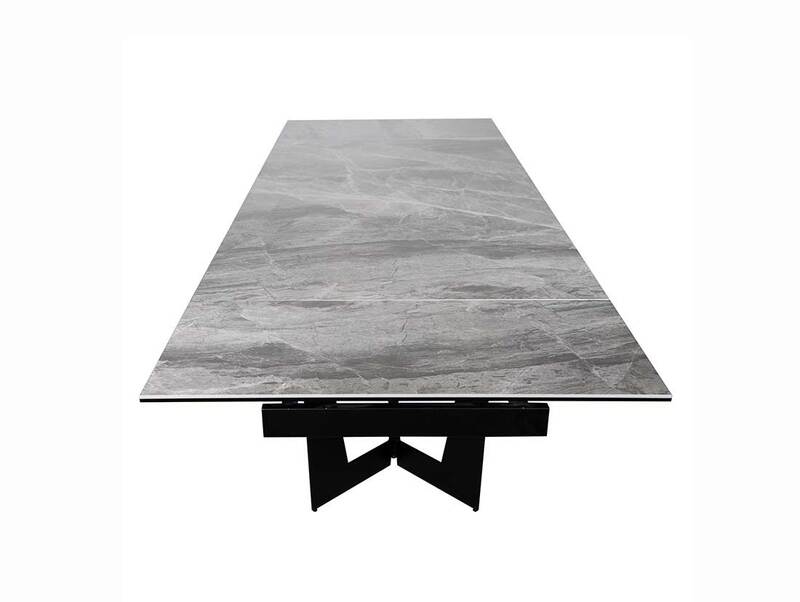 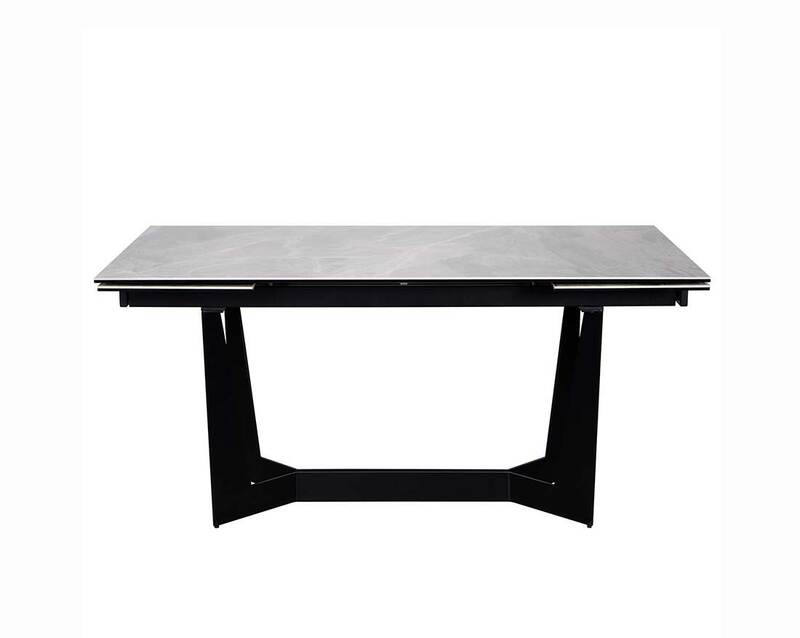 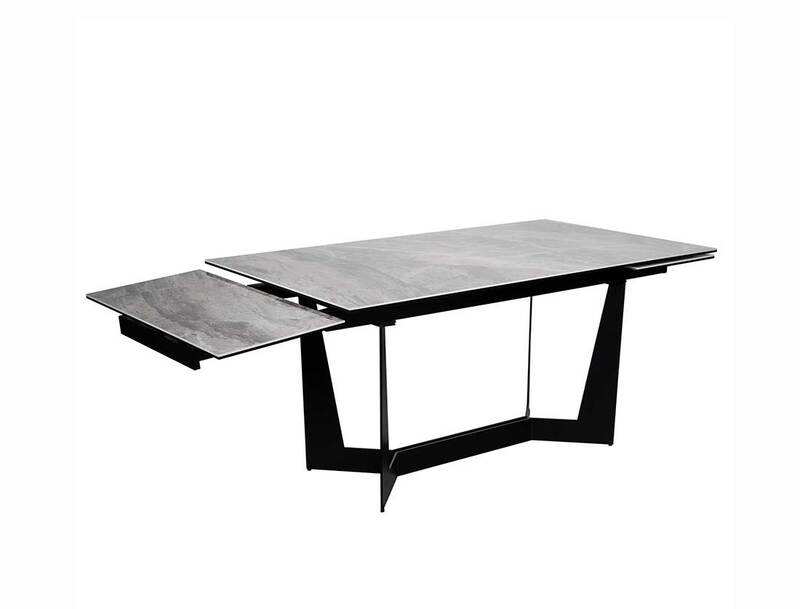 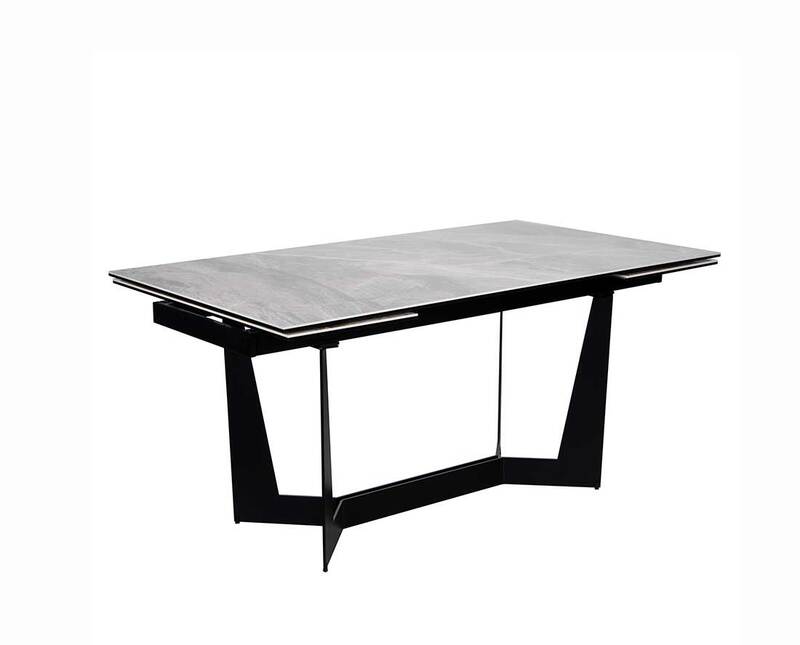 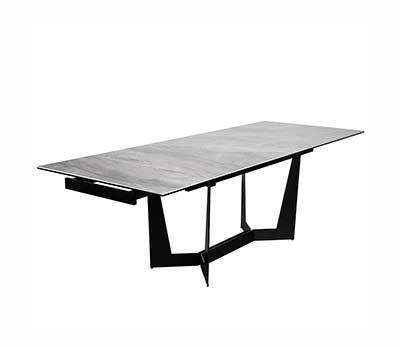 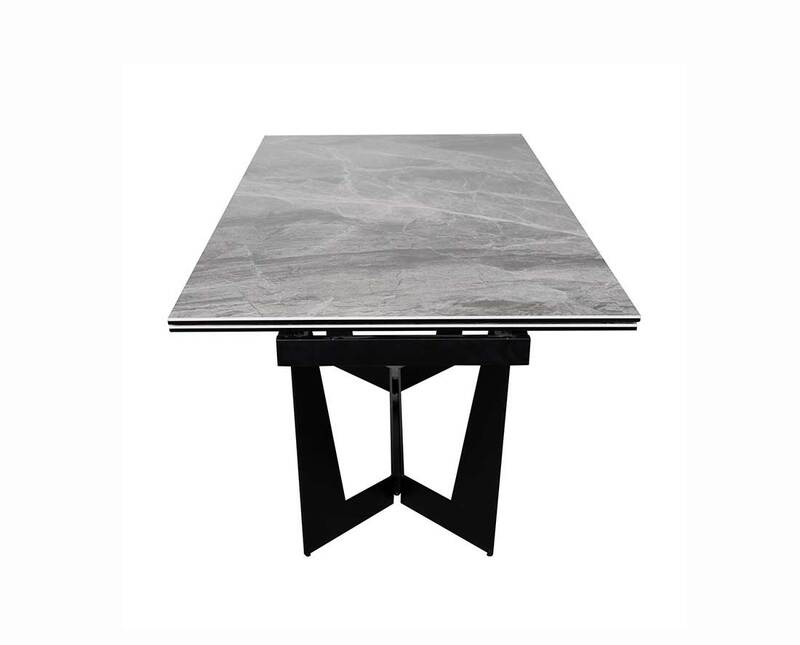 The table top, made of Italian ash gray ceramic glass in a marble pattern, goes from 63-inches to 95-inches with the use of its two extensions. 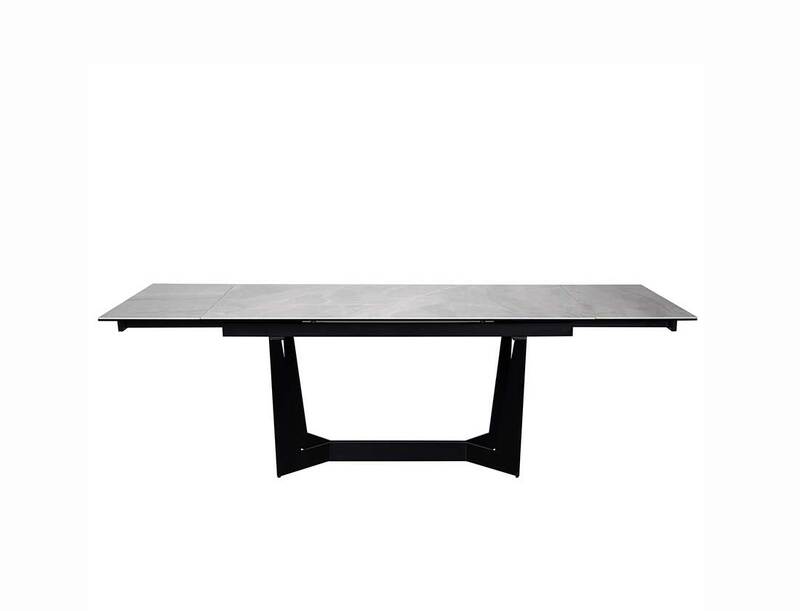 The base and frame, made of matte black solid steel, provide a striking and unique silhouette. 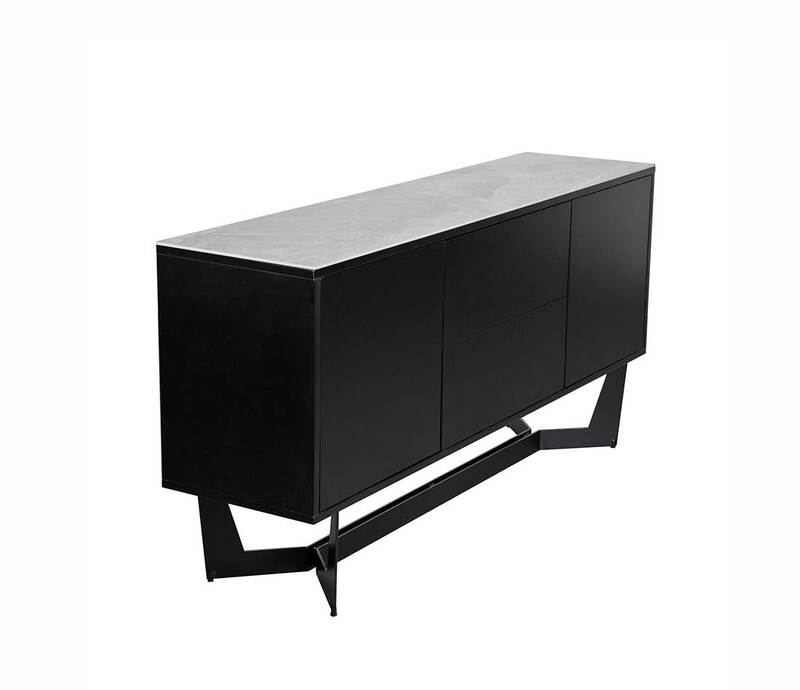 Pair it with the Mateo Sideboard for an extraordinary look.